Think about this: Just one piece of #coffee crumb cake and a fancy Frappuccino with whipped cream (1,180 #calories total) can add up to more calories than a Big Mac, medium fries and a soda (1,060 calories). Oh, and if you’ve heard rumors that caffeine helps you burn calories — let’s just say that if it really made much of a difference, Americans would be in pretty good shape because we’re the largest consumers of caffeine in the world. However, there are choices. As Starbucks claims, there are more than 21,000 beverage combinations to choose from, not to mention the baked goods, sandwiches and salads. Here are a few hints to help you make better choices the next time you have your cup of java. Surprisingly, the Chocolate Filled Croissant at 350 calories is a better choice than the 380-calorie coffeecake. 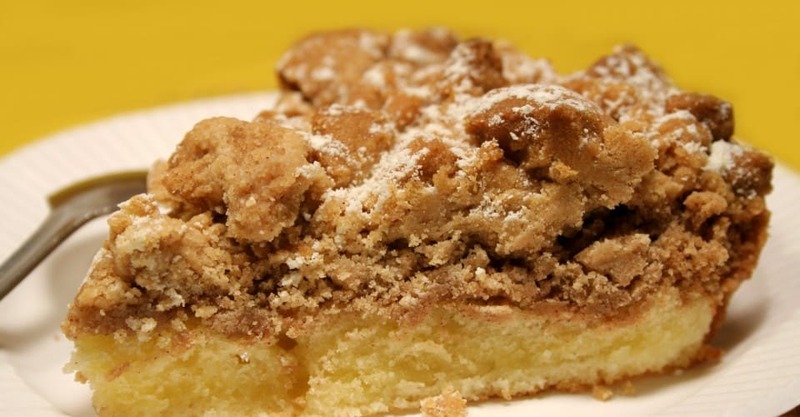 Plus, the coffeecake is made with trans fat and has 500 milligrams of sodium. Neither is a healthy choice (doughnuts, croissants, muffins and scones aren’t necessarily part of a good diet), but if you’re going to have one anyway, at least choose the better option. Fit Tip: Just because it has yogurt or is low in fat doesn’t mean it’s healthy. For instance, Starbucks Lemon Yogurt Bundt Cake is certainly not a healthy choice at 350 calories. Keep your total coffee shop calories under 350 — for both your drink and dessert. The doughnut actually wins. The Danish (250 calories) isn’t bad considering other potential dieting nightmares, but the doughnut has “only” 200 calories. Doughnuts certainly aren’t diet food, but, believe it or not, if you avoid the cake and cream-filled varieties, they might be better than some of the muffins, scones and Danishes. Even a jelly doughnut has just 210 calories; compare that to a Starbucks Crumb Cake with a whopping 670 calories. Fit Tip: All doughnuts are not created equal — and I’m not talking about the difference between Krispy Kreme versus Dunkin’ Donuts. Cake doughnuts have twice as much fat as yeast doughnuts, and it really does matter whether you have frosting, sprinkles or a glaze. Just take a look at the difference between Dunkin’ Donuts Chocolate Frosted Yeast Donut (200 calories) and the Chocolate Frosted Cake Donut (360 calories). Who would have thought? The cookie (470 calories) has almost twice as many calories as the croissant (260 calories). Fit Tip: For baked goods, your best bet at most coffeehouses is typically biscotti at around 110 to 150 calories. The English muffin sandwich (280 calories) wins, and it’s not even close. The Reduced Carb Bagel starts out with 380 calories, and if you add cream cheese (190 calories for 2 ounces), you’ll have eaten 570 calories before you even get to your coffee. Even a dry Sesame Bagel at Starbucks has 440 calories (not to mention everything we usually put on it) — the same number of calories as their Raspberry Scone. Fit Tip: Scooping out the inside of the bagel can save you up to half the calories. Additionally, try low-fat cream cheese (110 calories for 2 ounces). A better breakfast would be low-fat yogurt and fresh fruit, which many coffee places now serve. For instance, try Starbucks Fresh Fruit Mix — a cup of sliced fruit that has only 44 calories per 8 ounces and might be the best deal of all. The Roasted Turkey and Swiss is one of the best lunch deals at Starbucks at only 320 calories — much better than the Fruit and Cheese Plate at 430 calories. However, the other sandwiches and salads at Starbucks are mostly very high in calories. Fit Tip: Many coffeehouses have started to introduce foods other than baked goods, and they’ve been a huge success. The problem is that when you prepackage sandwiches or salads, there’s a potential cost in terms of calories. Unless dressings or calorie-laden condiments are on the side, your lunch may be no better than your worst fast-food choice. So be on the lookout, and don’t choose any sandwich that’s more than 400 calories — many of them are labeled. It’s actually a pretty close call. The Espresso Frappuccino Light (140 calories for 16 ounces) wins by 30 calories. The Coolatta with skim milk has 170 calories in 16 ounces. Just in case you didn’t know, a Frappuccino is coffee and milk blended with ice. Fit Tip: Always choose skim milk or, at the very least, low-fat milk for coffee and tea drinks. The Coolatta with cream has 180 more calories than the Coolatta with skim milk. The Chantico at Starbucks has 390 calories and 21 grams of fat (10 of them saturated), and that’s only for 6 ounces. Sixteen ounces of chocolate milk/hot chocolate, on the other hand, has 340 calories and 15 grams fat (8 saturated). That’s a lot of chocolate. How about having 12 ounces of nonfat chocolate milk/hot chocolate (no whipped cream) for 190 calories? Fit Tip: You’re better off having a regular coffee with skim milk and Splenda, and if you’re at Starbucks, you can get one of those little dark chocolate squares at the front counter to satisfy your chocolate craving. They’re small — only 60 calories. Or try the sugar-free flavored syrups for no extra calories. The Chai tea is the better option here at 200 calories for 12 ounces — you get 2 more ounces for fewer calories than the 10-ounce latte (210 calories). Tea without sugar and milk has virtually no calories, but when you start to make it fancy, the calories add up. Take a look at Starbucks Tazo Chai Creme Frappuccino Blended Tea (16 oz): 510 calories, or a Dunkin’ Donuts Vanilla Chai — 230 calories for 10 ounces. Fit Tip: Herbal tea — it’s flavored and has no calories. At five calories per ounce, a shot of espresso is your best deal. A Starbucks Cappuccino — an espresso with a small amount of steamed milk and a deep layer of foam — has 150 calories for 16 ounces. A latte is an espresso with more steamed milk than a cappuccino, also topped with foam — it has 260 calories for 16 ounces. Cafe Au Lait is a one-to-one mix of coffee and steamed milk, and has 140 calories for 16 ounces. Starbucks Espresso Macchiato, a sweet espresso shot with a small amount of foamed milk, also seems like a good deal at only 10 calories for an ounce, if that’s all you have. Fit Tip: Skip the whip. Adding whipped cream to your drink packs on at least an extra 100 calories and as much as a quarter of a day’s worth of saturated fat. Your server will probably add it unless you request to have it left off. So go ahead and ask! 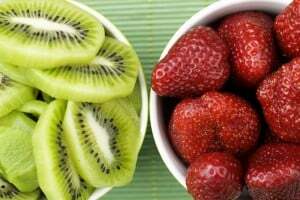 Latin American Foods -- Are They Healthy?